We now added brand new Soundclick Beat Store Designs ready for instant download to our Store. 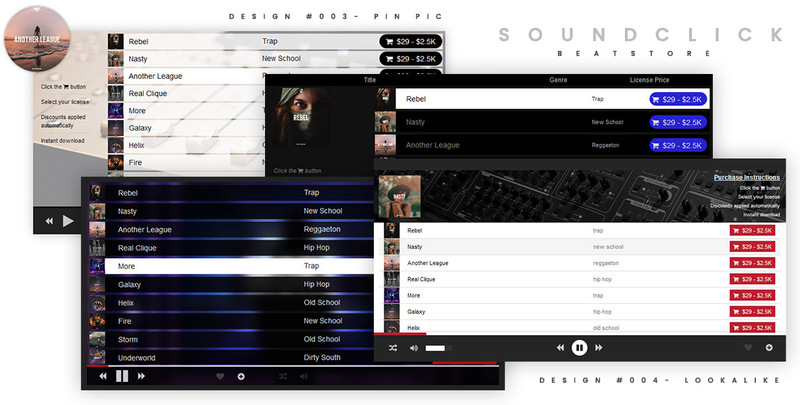 Use these Designs to upgrade the look of your Beat Store on Soundclick in no time by downloading the files ( CSS code and Setup Instructions .PDF) right after purchase. Choose your new optimized Store Design right here. Check out Curtiss King TV talking about the Soundclick Beat Store on Youtube.